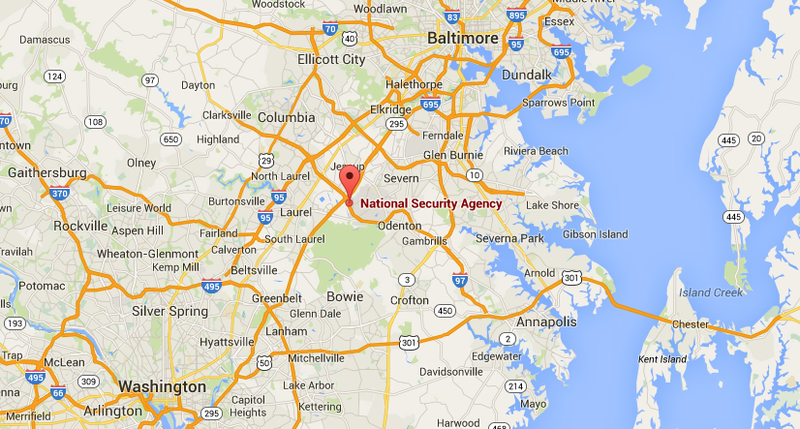 NSA Fort Meade shooting report: Car may have attempted to run gate. Monday morning at Fort Meade. 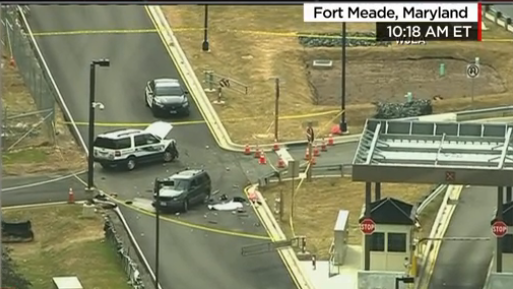 Gunfire erupted Monday morning at the gate of the National Security Agency’s facility at Fort Meade in Maryland when two men disguised as women in a stolen car tried to enter, sources said. A guard intervened and shot at least one of the men in the Ford Escape. A search of the vehicle turned up a gun and some drugs. CNN says one of the men was killed and the other wounded. The AP is also passing on a “preliminary” report of one death. Fort Meade is a large Army-run complex between Washington, D.C., and Baltimore that is home to a number of intelligence-related federal organizations in addition to the NSA.